UNIST to Participate in Wonder Global Makers W..
DHE Professor James A. Self and his design team participated in the Wonder Global Workshop from October 6 to 7, 2018. Makerspaces technology enabled, creative spaces that allow individuals to design, prototype, and create physical artifacts, ranging from small electrical parts to towering 3D printers. In recent year..
UNIST to Hold Knowledge Sharing Conference on .. The 1st International Conference on Perovtronics is scheduled to be held at UNIST on October 17, 2018. 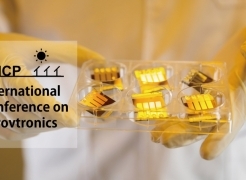 A knowledge-sharing event on photoelectronic technology, such as perovskite-based solar cells and LEDs, is scheduled to be held at UNIST on October 17, 2018. Organized by the Center for Perovtronics, ..
2018 Nobel Prizes in Physics: An Insight Into .. The lecture is scheduled to be held in the Natural Science Bldg. (Room U110) on October 11, 2018. 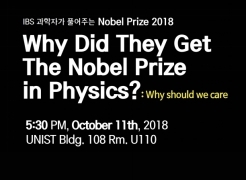 A special lecture on the story behind the 2018 Nobel Prize winners in Physics is scheduled to be held at UNIST on October 11, 2018. Jointly organized by the Department of Physics and the IBS Center f.. Opening of Haeorum Alliance Nuclear Innovation.. 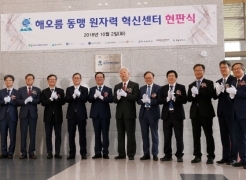 The signboard-hanging ceremony was held to celebrate the opening of Haeorum Alliance Nuclear Innovation Center on October 2, 2018. 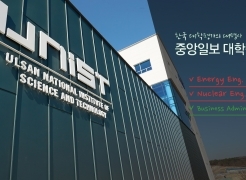 On October 2, UNIST held the opening ceremony of Haeorum Alliance Nuclear Innovation Center. The official signboard-hanging ceremony was also held to celebrate the grand opening of Haeorum Alliance .. 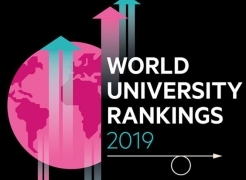 THE World University Rankings 2019: UNIST Rank..
UNIST, in terms of citations, ranked 1st in South Korea and 48th in the world. UNIST ranks sixth place among South Korea’s research universities, according to the London-based Times Higher Education World University Rankings. 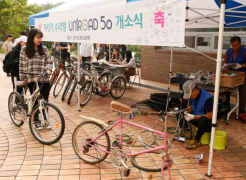 The 2019 rankings, released on the 27th of Sep..
UNIST Partners with Geoma to Provide On-campus..
UNIST signs cooperation MoU with Geoma Co. Ltd. to rescue abandoned bikes on campus. Students with bicycles will soon have an on-campus option for maintenance and advice besides taking their bikes to mechanics at on-campus bike repair shop. 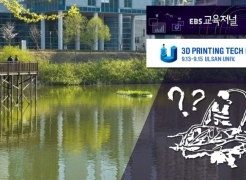 On September 20, UNIST has signed a Memoran..
A 3D printed boat by Professor Namhun Kim will be broadcast via EBS Education Journal, tonight at 11:35 p.m.
A new 3D printed creation by Professor Namhun Kim in the School of Mechanical, Aerospace and Nuclear Engineering at UNIST will be broadcast via EBS Education Journal, tonight at 11:35 p.m. 3D Willy t..
[2018 JoongAng Ilbo University Ranking] “..
UNIST's Engineering Department ranks ‘Top Grade’ at 2018 JoongAng Ilbo University Evaluation. UNIST continues to grow by leaps and bounds, according to the JoongAng Ilbo University Assessment’s 2018 rankings, released on September 12, 2018. In celebration of the 53rd anniversary, Joong..
A cerenomy was held to mark the official grand opening of AI Lab on September 6, 2018. UNIST today announced the opening of a new artificial intelligence (AI) research lab, dedicated to strengthening the university’s AI capabilities and nurturing creative human resources for the prep..
Rowing with Ulsan: A Rowing Documentary by UNI..
A rowing documentary by UNIST Rowing Team will be screened at 2018 Ulju Mountain Film Festival. A documentary made by UNIST Rowing Team will be screened at the 2018 Ulju Mountain Film Festival. A group of UNIST rowing team, consist of Gunha Kim, Namu Kim, Jihayng Lee, and Haesoo Eun has produced..